I love 'em. I absolutely. love. them. Thank you, Stephanie for the inspiration. 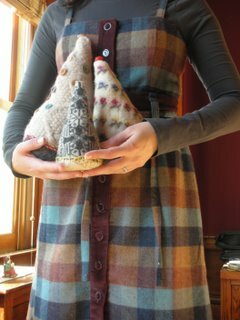 These were made from my felted sweater binge the other weekend, remember? This is an instant gratification project, taking a whole 15 minutes a piece to make. I almost wish they took longer because they're so darn fun. Is it just me, or is this a little strange? I know that the Silicon Valley is "forward thinking" (technologically speaking anyway), but, iPods sold from a VENDING MACHINE? $200 in quarters anyone? Pom Pom's & the starting of a good thing.....garland and other Christmas goodies coming soon! Hey, I love those trees...they are fun, aren't they? Your trees are great, I haven't seen these before. More crafty inspiration! The trees are great! At out grocery store we have those iPod vending machines too. Aren't they strange? 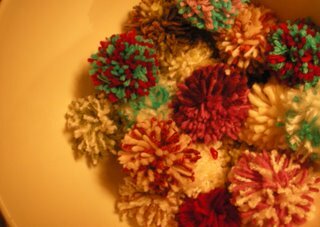 Those pompoms are very cute. Great idea for garland. I just hate making them! :-) I've seen iPods in a vending machine at the airport, but it wasn't right there with candy and cookies, it was with other electronic gadgets. That's weird right there with snacks and whatnot. iPods in vending machines... just too weird. I love the trees!! 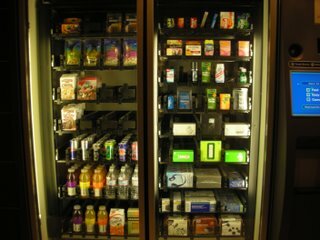 I haven't seen iPods in the vending machines around here, but I did notice that they've started selling them at the drug store (which I also found a little odd). Shopping for tampons and a new nano at the same time doesn't quite work for me...but maybe that's just me :)) Those trees are adorable!! those sweater trees are indeed adorable. 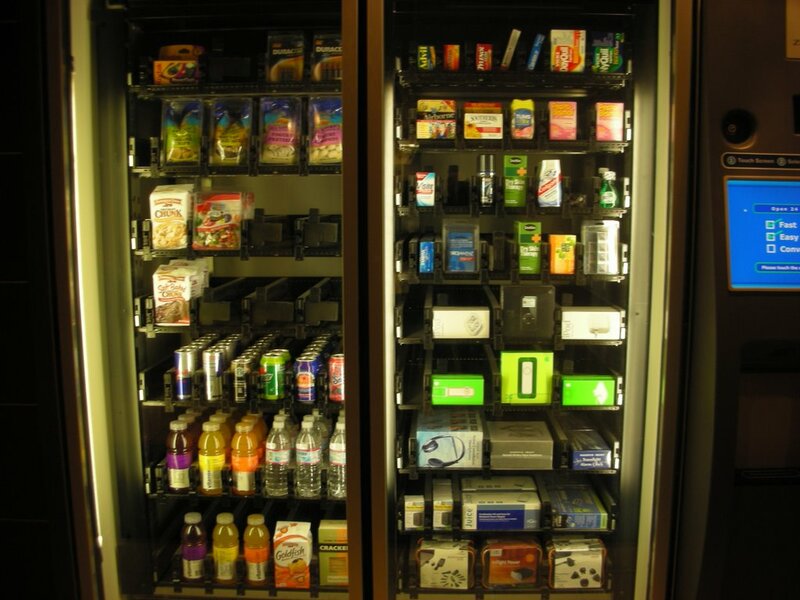 I think it's a brilliant idea, but weird to think one would spend so much money in a vending machine. Motorolla also has vending machine at DFW from which one can buy cellphones.